The independent publishing industry is challenging to say the least. If we all would take a moment and reach forward to assist someone interested in making a difference using words i.e. the “pen”. DO IT! If you do it, and they do it, and we do it. It will level the playing field for those who come after us. Leave a trail, a blazing trail. Yes, be a TRAILBLAZER! Each time you work with a new project you learn something. Share that with one person, to say the least. 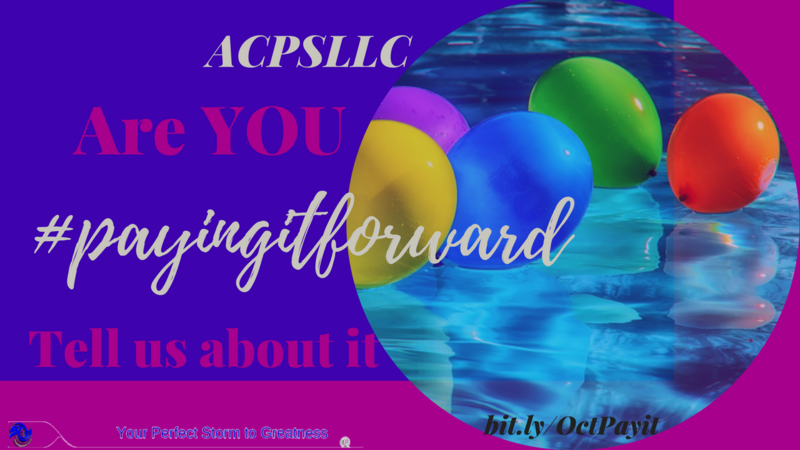 If you don’t #payitforward who will? Tell us how you are the ‘wind beneath someone’s wings’. Tell us what you have written. Tell us how to boldly interact with you on all of your social media platforms. Oh and tell us what platforms they are, one by one. 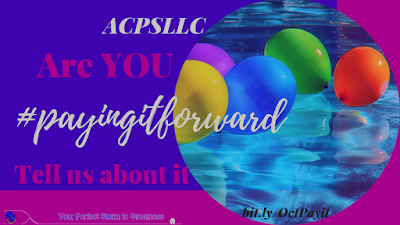 7:00 am — 7:00 pm CST on Facebook in our #payingifforward group. You have many options to participate even if it is only to sit back and enjoy the entertainment. 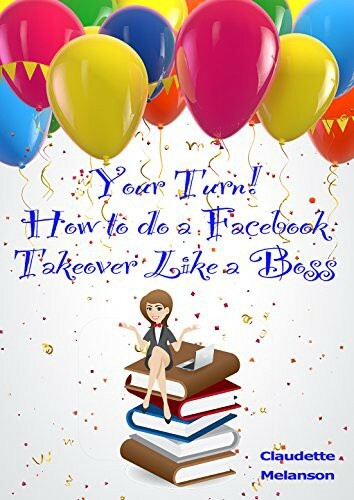 There is a writer i admire who wrote a succinct eBook to explain what it is and how you can be GREAT at it! You will enjoy the book and the advice is on point. If you don’t read this book or any article regarding the in’s and out’s of a takeover ask us. We will do it for you. The last day to sign up is October 13, 2017. Don’t allow your “prime time” to disappear.